With a stay at Svostrup Kro in Silkeborg, you'll be within a 10-minute drive of Jysk Automobilmuseum (Jutland Car Museum) and Silkeborg Golf Club. 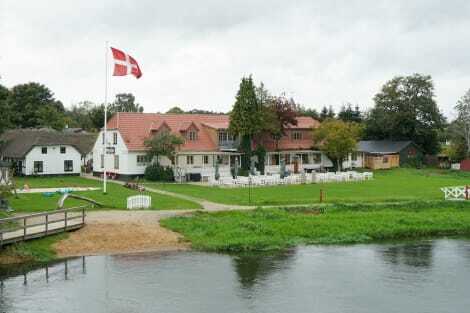 This inn is 6.9 mi (11.1 km) from Paper Museum and 6.9 mi (11.1 km) from Silkeborg Dyrehave. Stay in one of 47 guestrooms featuring Smart televisions. Complimentary wireless Internet access keeps you connected, and satellite programming is available for your entertainment. Private bathrooms with showers feature complimentary toiletries and hair dryers. Conveniences include phones, as well as desks and irons/ironing boards. Enjoy international cuisine at Guldanden, a restaurant where you can take in the garden view, or stay in and take advantage of the room service (during limited hours). Wrap up your day with a drink at the bar/lounge. A complimentary buffet breakfast is served daily. Take in the views from a terrace and a garden and make use of amenities such as complimentary wireless Internet access. Additional amenities at this hotel include a fireplace in the lobby and a banquet hall. lastminute.com has a fantastic range of hotels in Silkeborg, with everything from cheap hotels to luxurious five star accommodation available. 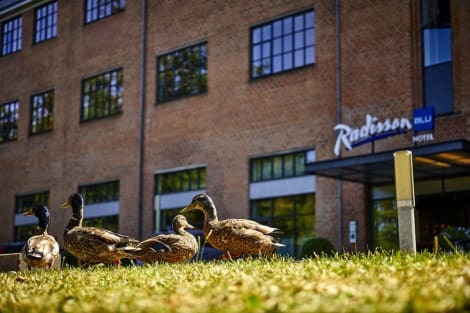 We like to live up to our last minute name so remember you can book any one of our excellent Silkeborg hotels up until midnight and stay the same night.